Arsenal stars Wojciech Szczesny, Tomas Rosicky and Lukas Podolski have teamed up to make a Christmas music video. YES! 25 Glorious Photos Of WAGs With Epic Curves. Don’t Be Fooled By Chelsea & Everton ‘Playing The Kids’, Premier League Youth Systems Are Still Failing Miserably. 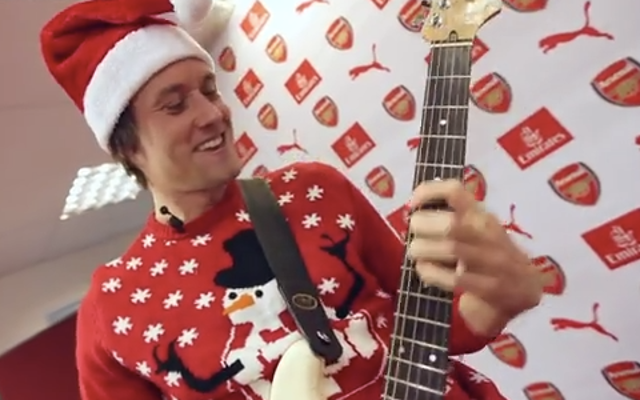 The Gunners trio all put on festive jumpers for the performance, which you can check out below. Szczesny was in the keyboard, while Rosicky was on guitar duty. Podolski had a very ‘special’ role, which came right at the end. The video was made to promote the Arsenal Foundation, which supports projects that transform the lives of young people in the United Kingdom and overseas.